A research team headed by Professor Gao Chao have developed ultra-light aerogel – it breaks the record of the world’s lightest material with surprising flexibility and oil-absorption. This progress is published in the “Research Highlights” column in Nature. Aerogel is the lightest substance recorded by Guinness Book of World Records. It gets its name due to its internal pores filled with air. In 1931, American scientist Kistler first produced aerogel with silicon dioxide, and nicknamed it “frozen smoke”. In 2011, HRL Laboratory, University of California Irvine, and California Institute of Technology collaborated in developing nickel aerogel with a density of 0.9 mg/cubic centimeter, the record lightest material at that time. It couldn’t even cause deformation on dandelion flower fluffs. The picture of nickel aerogel was selected as one of the top ten pictures of Nature. Deeply impressed by the picture, Prof. Gao Chao asked himself: is it possible to challenge the limit with new material? 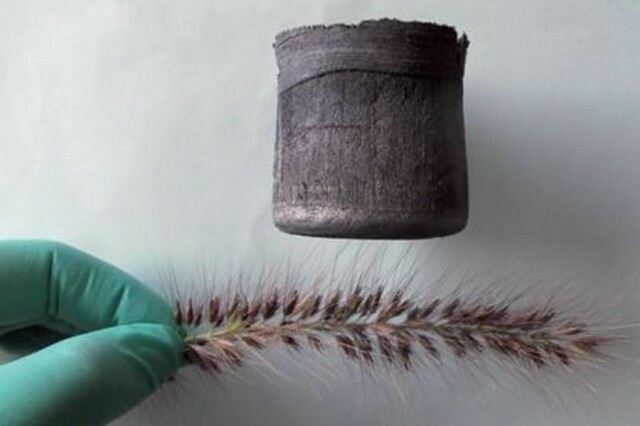 In reported papers the carbon sponge developed by Gao’s team is the record holder of lightest material, with 0.16 mg/cubic centimeter, lower than the density of helium. A related paper was published in Advanced Materials on February 18. But the team is not interested in declaring for Guinness Book of World Records. Prof. Gao explains that the value of this achievement lies in its simple way in developing the material and the superior performance exhibited. The title of review in Nature is “Solid carbon, springy and light”. This new material is amazing. 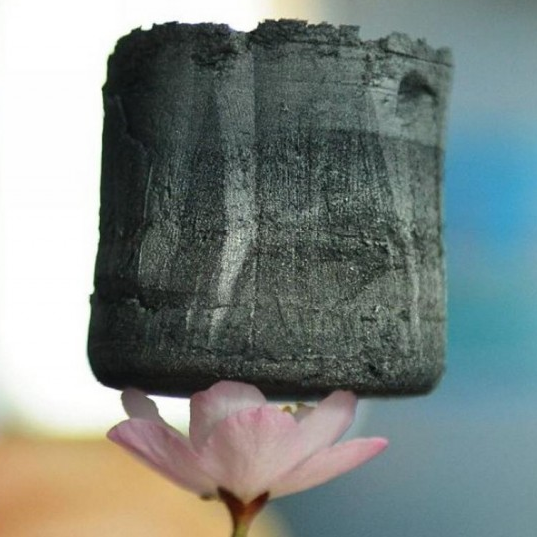 Their aerogel is extremely elastic, bouncing back when compressed. It can absorb up to 900 times their own weight in oil, only oil not water. In addition, the aerogel can absorb organics at a high speed: one gram of such aerogel can absorb 68.8 grams of organics per second. It can be useful in dealing with oil spills at sea. “Maybe one day when oil spill occurs, we can scatter them on the sea and absorb the oil quickly. Due to its elasticity, both the oil absorbed and the aerogel can be recycled.” Apart from that, the aerogel may also be made into ideal phase change energy storage insulation material, catalytic carrier or efficient composite. The new material is just like a new-born baby. Scientists are still exploring its applications and prospects with imagination and creativity to achieve more practical value.